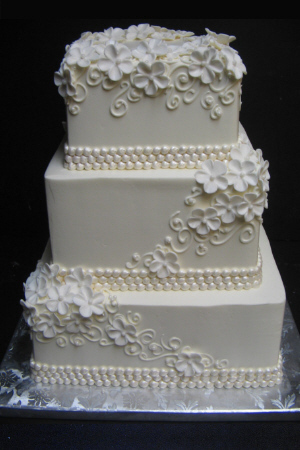 Please click here to schedule an appointment with our wedding cake consultant. She will be happy to show you various designs, offer samples to taste and provide you with a cost estimate. It is best to place your order as early as possible, as we book up quickly. Wedding cake reservations are made on a first come, first serve basis. A $100 non-refundable deposit will reserve your date with our bakery and will be applied to the cost of your cake. This deposit is non-transferable.